Sensation. Madness. Milestone. Such were the whispers at the Paris Motor Show in 1974. The very first 911 Turbo proved in spectacular fashion how to defy conventions. With courage. With style. And power. In this way, Porsche demonstrated something that other automotive manufacturers lacked in an era of global oil crises and car-free Sundays: steadfast composure. With one of the first series-production sports cars to be given a turbocharger. The very first supercar in fact. 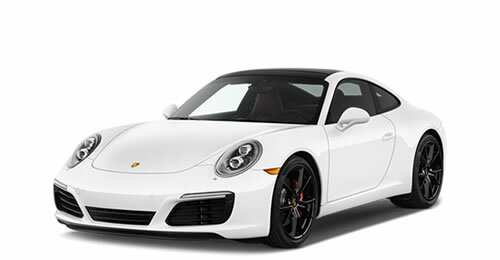 The car-loving world gasped – and has done so with each new 911 Turbo ever since. Hardly any car articulates the Porsche brand and the mentality of our engineers better. Or indeed more forcefully. 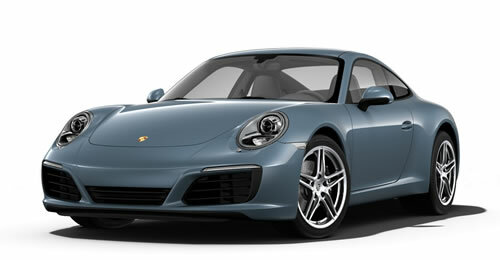 The 911 Turbo was, and is, a pointer to the future of the sports car – and also its present. 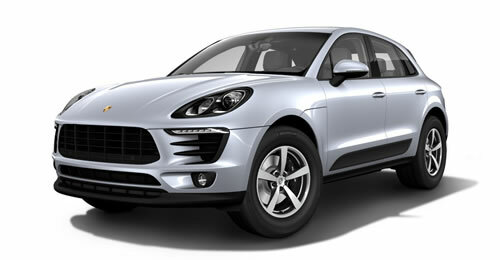 It combines superlative performance with excellent efficiency and everyday driveability. So it’s no wonder that one of the first small-scale limited-edition production runs by Porsche Exclusive exactly 25 years ago was based on a 911 Turbo. A more forceful statement than the 964 Turbo S Lightweight in Speed Yellow? Difficult to imagine. 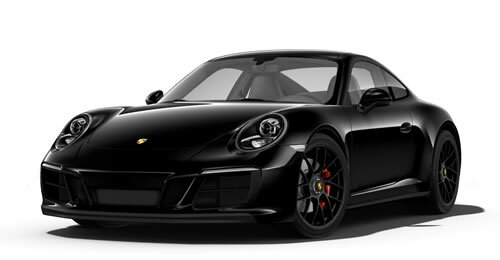 After all, for us, the 911 Turbo has never been just a sports car. Rather: the sports car. A violin. A painting by a Renaissance artist. A fascinating concert. An extraordinary sports car. 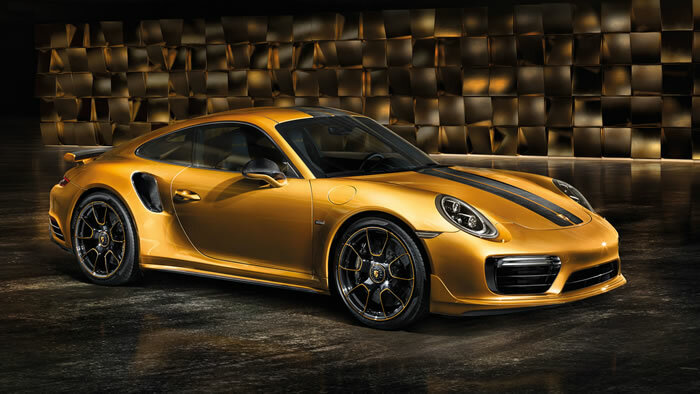 The 911 Turbo S Exclusive Series. It’s the rare things that put us under their spell. Because we may see them no more than once in our lifetime. Because they remove us from normality. Because they show us that the impossible is not a fact, but merely an opinion. These things are different. New. Scarce. Inspired by a big idea. Characterized by extraordinary skill. Shaped by great craftsmanship, driven by passion and the love for detail. Now we are interpreting our passion in particularly dynamic fashion. With a power upgrade of 27 hp over the 911 Turbo S. Result: 607 hp. 553 lb.-ft. of torque. 500 examples. Lightweight construction meets craftsmanship. Carbon fiber meets character. Perfection meets performance. 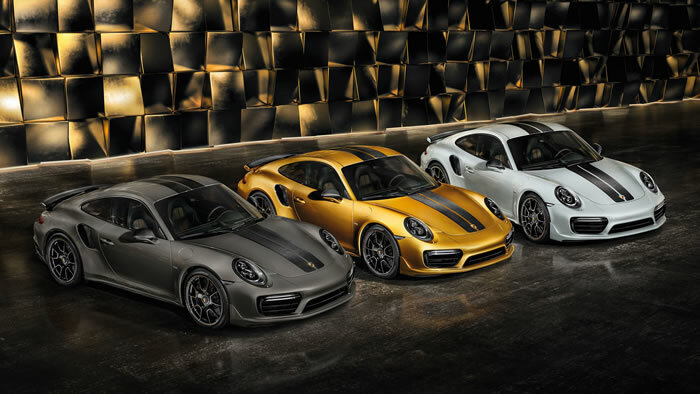 Accomplishment: the 911 Turbo S Exclusive Series. 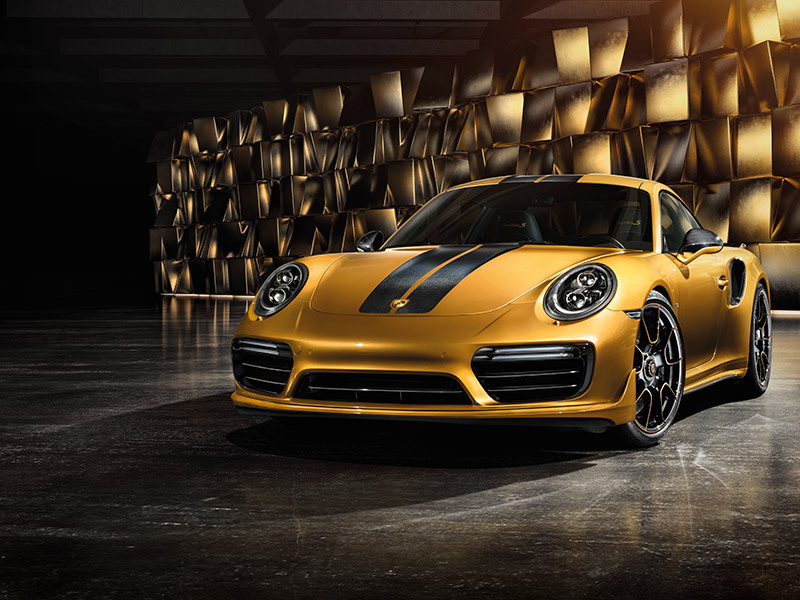 The 911 Turbo S stands for power, forward thrust, and presence. Can we take this to a new level? 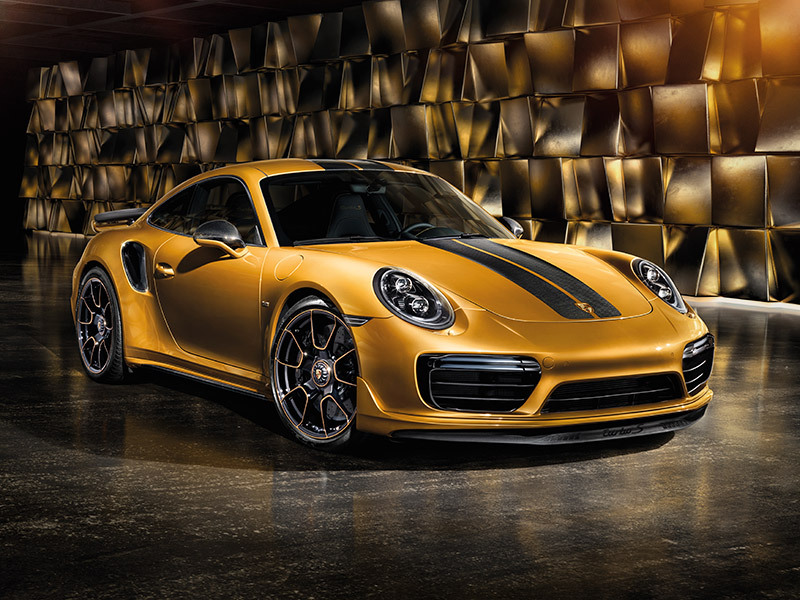 We wouldn’t be Porsche if we didn’t – and if we didn’t dare to turn a 911 Turbo S into a 911 Turbo S Exclusive Series. And a sports car into an exceptional phenomenon. The exterior design is many things – except ordinary. Lightweight construction from front spoiler to rear wing. The defining material: carbon fiber. 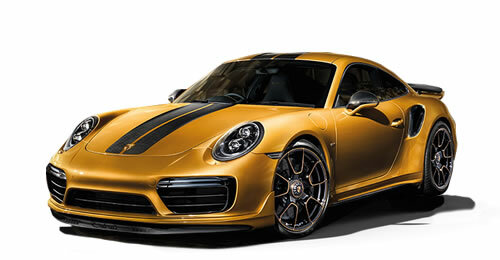 The color: Golden Yellow Metallic. The paintwork: applied by hand. With multiple sanding steps to achieve a perfect transition from the top coat in Golden Yellow Metallic to two clear-coat stripes. 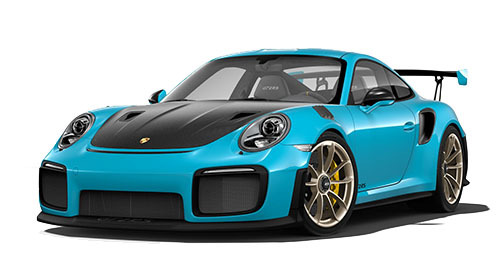 These reveal the core of the lightweight concept: the carbon fiber structure of the front lid and roof. 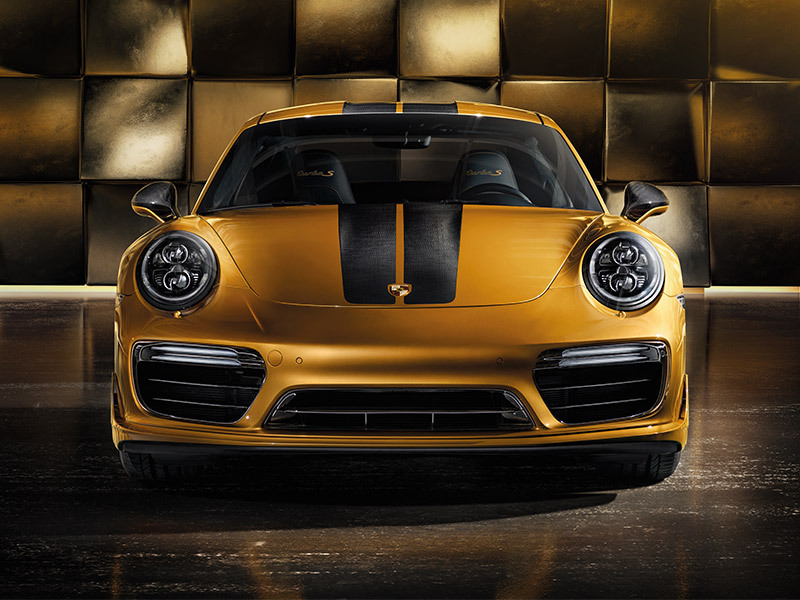 The striking contouring inside the two carbon fiber-weave stripes further accentuates the sporty look of the 911 Turbo S Exclusive Series. The air intakes in the front fascia are painted in high-gloss black. 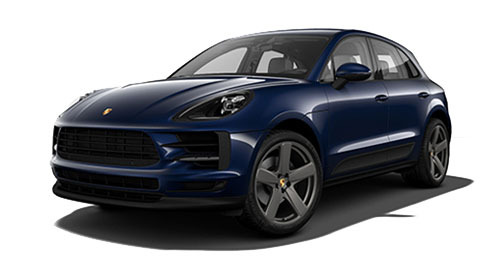 Tinted LED headlights including Porsche Dynamic Light System Plus (PDLS Plus) are part of the standard specification and complete a front design not witnessed every day. 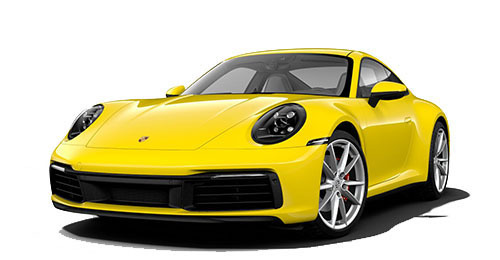 The SportDesign exterior mirrors are typical of a 911 Turbo S, the exterior mirror upper housings in carbon fiber are typical of the Porsche Exclusive Manufaktur. Even the side air intakes are in carbon fiber. Just like the newly styled side skirts. 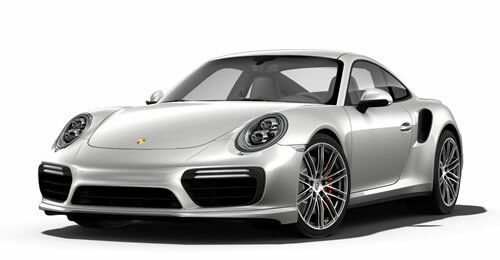 The extraordinary design of the 911 Turbo S Exclusive Series is underlined by the Aerokit. The extending rear wing is manufactured from carbon fiber. 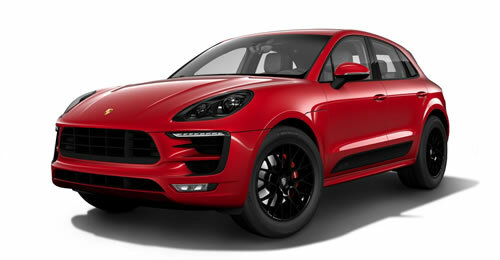 So is the rear fascia, which forms the fitting frame for the two imposing and newly designed twin tailpipes in black. The air outlets are painted in high-gloss black, the three-dimensional taillights are tinted. 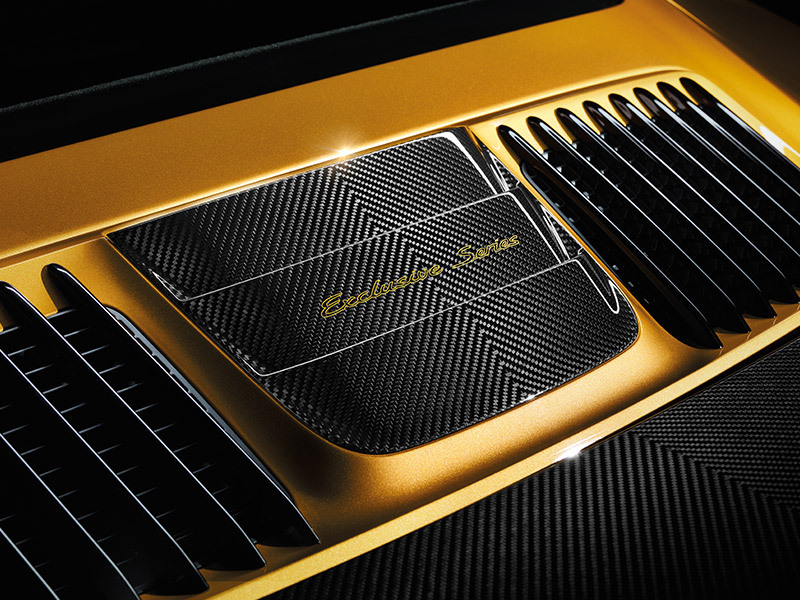 The exterior of the 911 Turbo S Exclusive Series is completed by the ‘Porsche Exclusive Manufaktur’ plaque on the sides of the car and the ‘Exclusive Series’ logo on the central air intake on the rear lid, which has also been manufactured from carbon fiber. 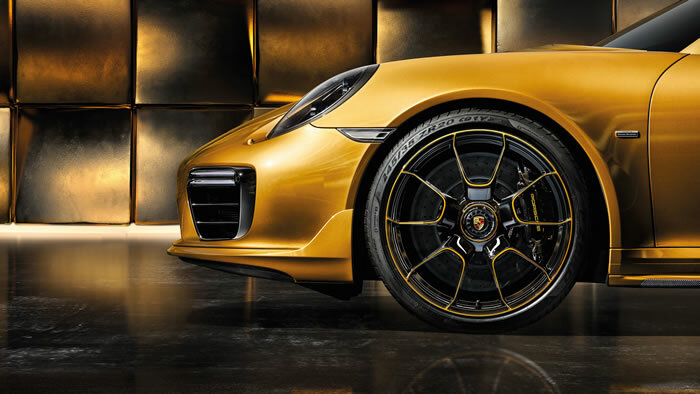 The newly styled 20-inch 911 Turbo S Exclusive Design wheels with central locking device combine high tech with craftsmanship. During their final treatments, the wheels are primed in Golden Yellow Metallic first before being painted over in high-gloss black. 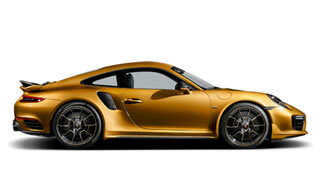 Only afterwards are extremely precise design lines in the exterior color of Golden Yellow Metallic teased out by laser. The fives-poke design draws inspiration from the Sport Classic wheel and displays a particularly intricate styling. Another reminder of lightweight construction. Black instead of yellow. That’s new as well. 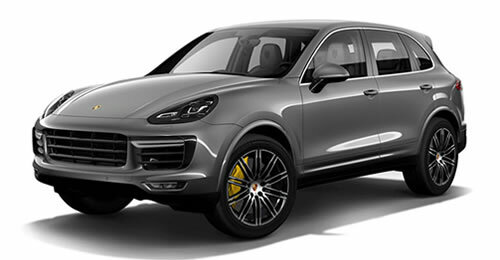 The brake calipers of the Porsche Ceramic Composite Brake (PCCB) are not painted in their customary yellow – but in high-gloss black, entirely in keeping with the overall image. The ‘PORSCHE’ logo shines in Golden Yellow Metallic and creates stunning accents. Style. Achieved with finesse, and unswerving conviction. The principles by which we designed the exterior of the 911 Turbo S Exclusive Series apply equally to the interior. 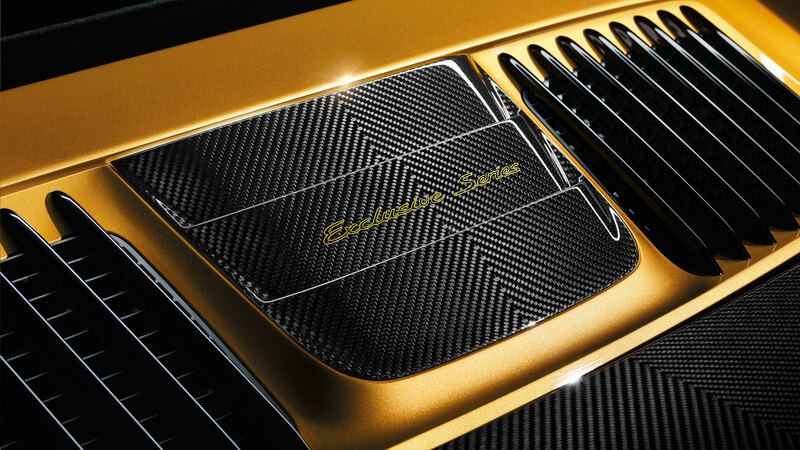 The door sill guards in carbon fiber with illuminated ‘Exclusive Series’ logo are more a promise than an invitation. The subsequent look inside: accompanied by a mixture of respect and anticipation. 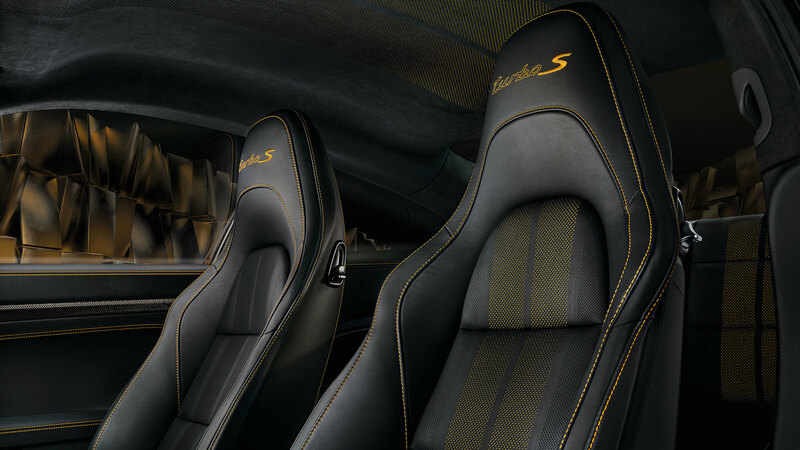 The interior: inspired by the exterior and defined by carbon fiber. This lightweight material is used for the decorative trims of the dashboard, the door trims and the center console trim. The extraordinary: a gold-colored metal thread woven through all carbon fiber items. Why? Because this endeavor was long deemed impossible. And that’s a challenge we couldn’t ignore. The leather interior: black. The details: considered. Selected decorative stitching have been stitched in contrasting Golden Yellow and are a subtle reminder of the exterior color. They are found, for example, on the dashboard, the door trims, the steering wheel rim and the steering column casing. The other decorative stitching in the interior, such as those of the leather-lined air vents or the inner door sill guards, are stitched in black. 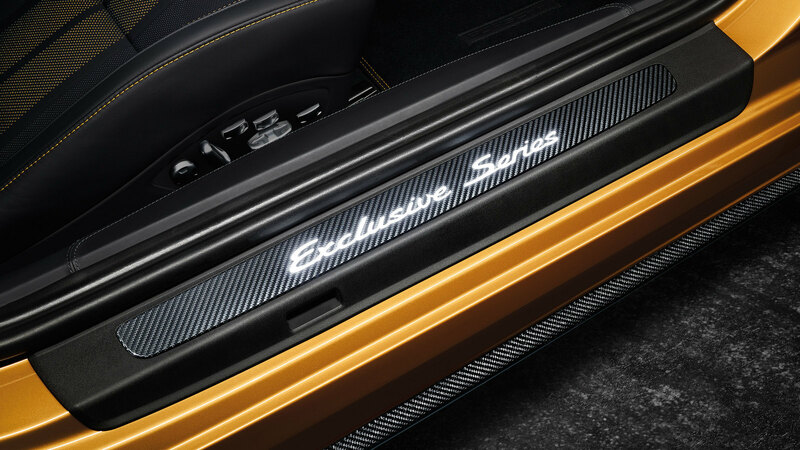 An especially exclusive detail adorns the decorative trim above the glove compartment and is testimony to the individuality of the 911 Turbo S Exclusive Series: the limited-edition plaque with personal model number. A special reception awaits both the driver and the front passenger: in the form of Adaptive Sport Seats Plus (18-way, electric). Not only do they come equipped with heating and ventilation, they also provide an insight into our passion for detail. First indication of the devotion with which we refined the interior: the ‘turbo S’ logo in Golden Yellow embroidered on the headrests. 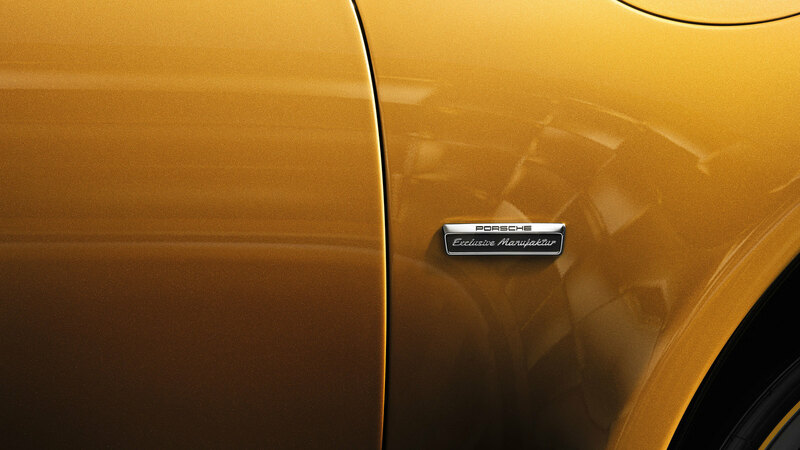 Second indication: the extraordinary seam pattern on the seats with decorative stitching also in Golden Yellow. The overall impression is completed by the perforation of the seat centers, each of which features two perforated pattern stripes, again in Golden Yellow. It’s a stylistic feature repeated on the roof lining in black Alcantara®, where two perforated pattern stripes backed with Golden Yellow have similarly been incorporated. Even the floor mats have been crafted by hand. They are edged in black leather and display decorative stitching in Golden Yellow. 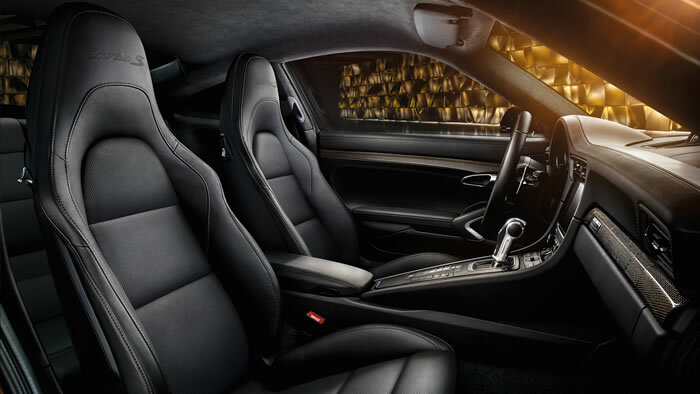 With all our love for the finer points, we couldn’t overlook the most important place in a Porsche: the driver’s seat. Here, too, black leather and sporty carbon fiber dominate. The ergonomics are typical of a sports car. 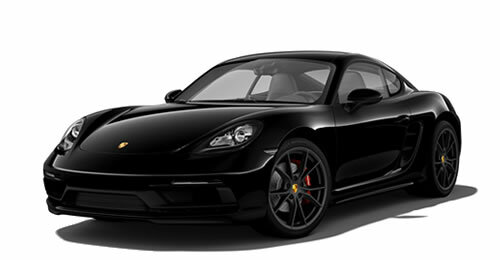 Or, more precisely, typically Porsche. The tachometer? In the center of the instrument cluster, of course. And refined with design details in Golden Yellow. The ascending center console? 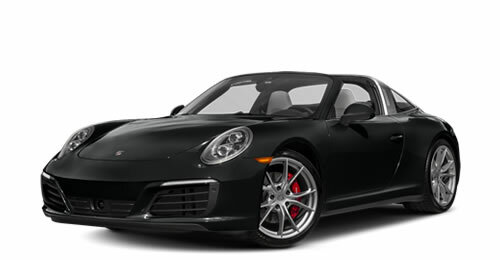 It enables short and precise hand movements from the gear selector of the 7-speed Porsche Doppelkupplung (PDK) to the GT Sport steering wheel and back. The steering wheel design is classic, the details are modern. Black leather, artfully complemented by decorative stitching in Golden Yellow. Gearshift paddles ensure ultra sporty gear changes. The steering wheel also offers direct access to the mode switch with SPORT Response button and to selected functions of Porsche Communication Management (PCM)1), 2) including online navigation. 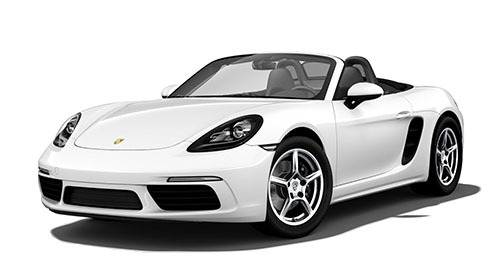 The Connect Plus module integrates an array of features, such as Apple CarPlay™ 3), an LTE telephone module with SIM card reader, wireless Internet access, online navigation and a wide range of Porsche Connect services. 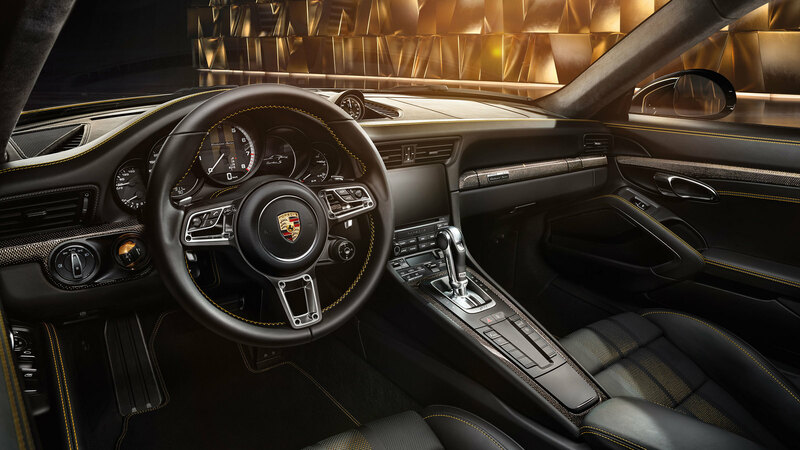 Above all, the interior of every Porsche is centered on the driving. And the driver. 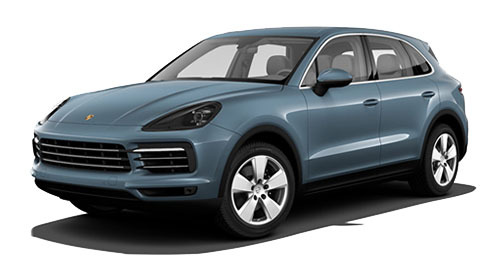 1) Navigation is standard on Panamera, 911, Cayenne, and Macan Turbo models. 2) Functionality is dependent upon configuration of each individual vehicle. 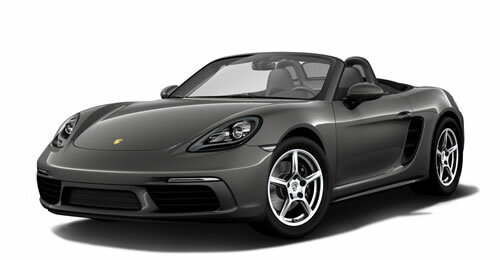 Some functions require Voice Control, Porsche Entry & Drive and Power folding mirrors, etc. which cannot be installed after production. Some features and services are available with a subscription and may or may not provide a free trial period. Please visit: www.porsche.com/usa/connect/facts or consult your authorized Porsche dealer for more information. 3) Please visit www.apple.com/ios/carplay for more details and available apps through Apple CarPlay™. 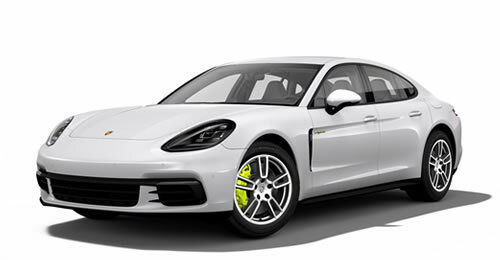 Lighter, stiffer, more innovative – the new optional 20-inch 911 Turbo Carbon Fiber wheel with a seven-spoke design features central locking with a silver-colored wheel center cap and a full-color Porsche Crest. 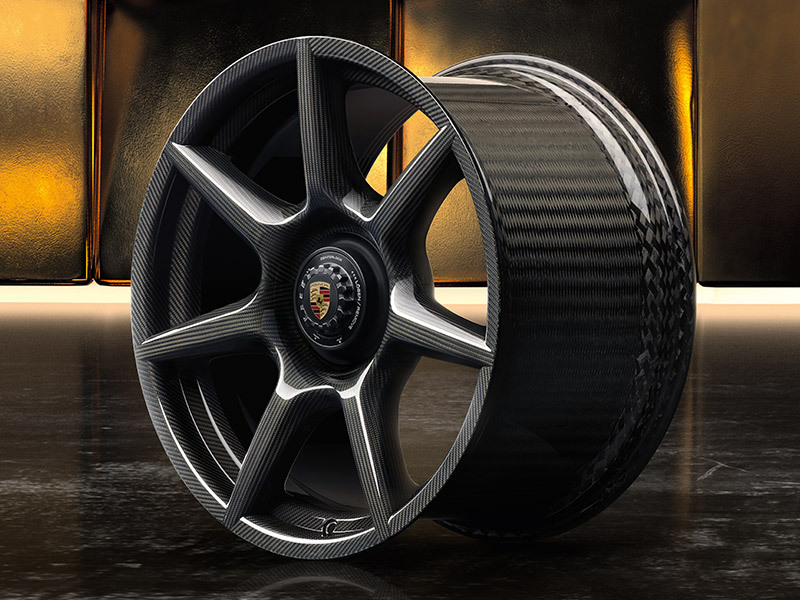 The first complete carbon fiber wheel from Porsche features a woven carbon fiber rim barrel, and is approximately 20% lighter than the already lightweight standard wheels of the 911 Turbo S. This results in a reduction of unsprung and rotating masses – for a positive effect on driving performance. The fact that it looks outstanding is a welcome bonus. The hallmark of an exceptional phenomenon: no sooner do you catch a glimpse of it then it’s gone again. That could be down to the ‘S’ on the rear. 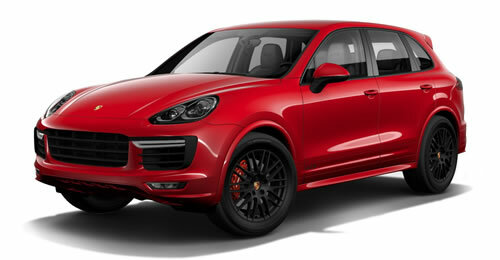 At Porsche, this mark has forever been the signature of supreme performance beyond all conventions. 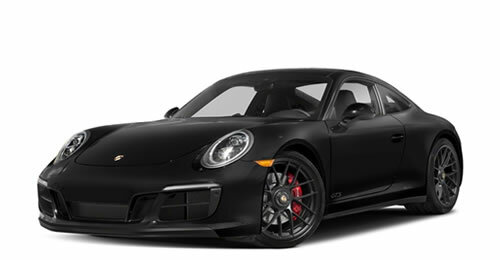 The 3.8-liter six-cylinder twin-turbo horizontally opposed engine of the 911 Turbo S Exclusive Series produces 607 hp – 27 hp more than the 911 Turbo S. This power upgrade comes thanks to the Exclusive Powerkit, reserved solely for the 911 Turbo S Exclusive Series. With a constantly elevated boost pressure, the engine consistently delivers the maximum torque of 553 lb.ft. The sprint from 0 to 60 mph is over and done in 2.8 seconds. 124 mph is reached in 9.6 seconds. Top track speed of 205 mph. 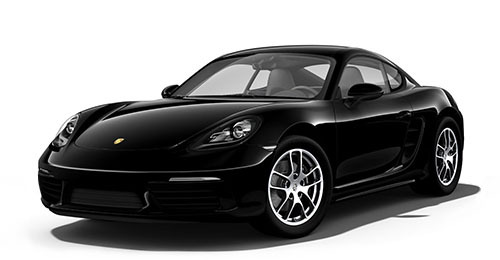 These figures are made possible by the horizontally opposed engine so typical of the 911. Benefiting from a lightweight construction, it offers impeccable balancing of masses combined with low-vibration running. Its position deep down in the rear contributes to the car’s low center of gravity. We’ve used forged connecting rods and forged aluminum pistons, which operate in cylinders made from an aluminum–silicon alloy. Two turbochargers with variable turbine geometry (VTG) help to ensure a dynamic response, high torque and extraordinary performance values. Simply put: a gentle press of the accelerator pedal is enough to set not only the 911 Turbo S Exclusive Series racing – but your heart rate, too. Greater power requires greater control. 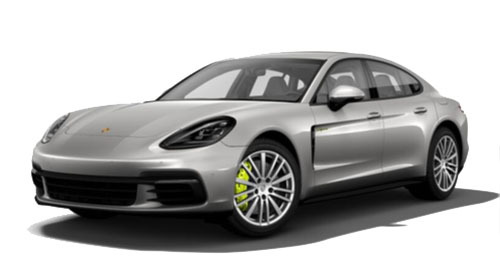 In keeping with this principle, the 911 Turbo S Exclusive Series is equipped with Porsche Dynamic Chassis Control (PDCC), which helps to provide active roll stabilization and more neutral handling. 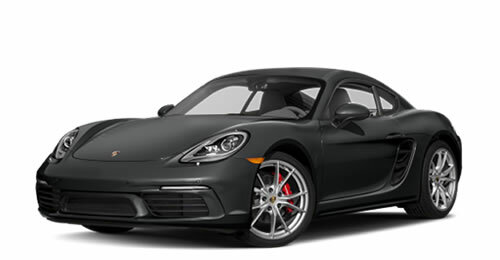 Also on-board: Porsche Stability Management (PSM), Porsche Traction Management (PTM) and, of course, systems designed to enhance dynamic performance. 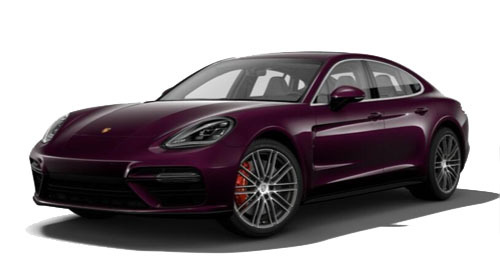 These include rear axle steering, Porsche Active Suspension Management (PASM) and Porsche Torque Vectoring Plus (PTV Plus) including an electronically regulated rear differential lock. 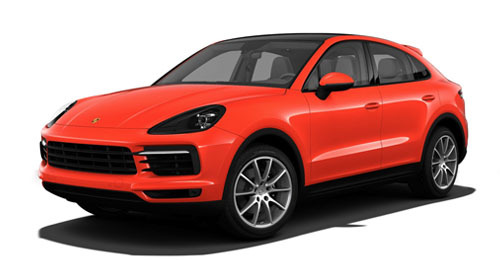 Porsche Active Aerodynamics (PAA) adapts the front spoiler and rear wing automatically based on the current driving style and helps to maintain optimum performance in terms of downforce and drag. With the front spoiler and rear wing fully deployed in their performance position, the front spoiler lip reveals its ‘turbo S’ logo. Derived directly from motorsport: Porsche Ceramic Composite Brake (PCCB) and the central locking device of the 20-inch wheels. Adrenaline boost at the push of a button. Goosebumps included. Thanks to the Sport Chrono Package, integrated as standard, you can opt for an even sportier tuning of the chassis, engine and transmission. 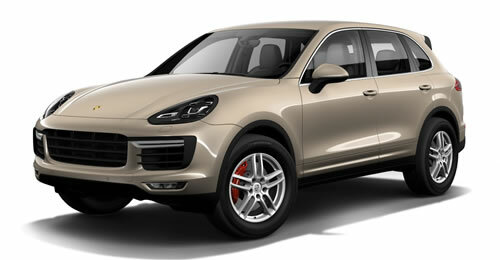 And launch yourself to unprecedented sporty heights. With the mode switch on the steering wheel, derived from the 918 Spyder, you can choose from four settings: Normal, SPORT, SPORT PLUS and Individual mode, which enables you to adapt the vehicle to your personal style of driving. On activation of SPORT PLUS mode, for example, the engine offers a significantly more direct response and PDK becomes tuned for extremely short shift times as well as optimum shift points for maximum acceleration and noticeably active gear changes. PASM, rear axle steering and PDCC provide even sportier damping and more direct turn-in at corners. 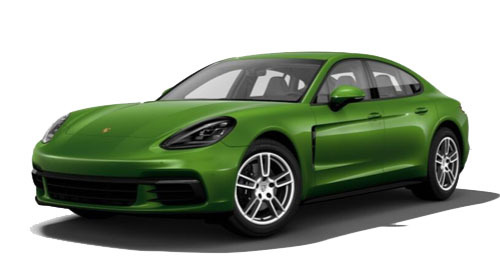 In addition, the front spoiler and rear wing are moved to their performance position by Porsche Active Aerodynamics (PAA). Launch Control enables the best possible standing start: a racing start. Want to step up another level? The button in the center of the mode switch activates the SPORT Response function – and the engine and transmission are primed for the fastest possible unleashing of power. In other words, maximum responsiveness for a period of approximately 20 seconds. Useful when overtaking, for example. What’s left? For the driver, the wish that the drive will never end. 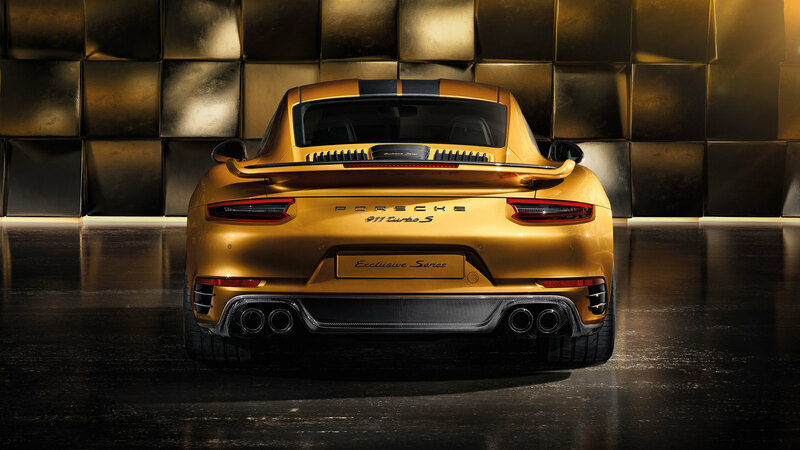 For everyone else, a fleeting glimpse of the rear of the 911 Turbo S Exclusive Series. What’s key to the specification of any exclusive sports car? You. To be more precise: your personality. That’s why we give you the opportunity to tailor the 911 Turbo S Exclusive Series in accordance with your own wishes and ideas. 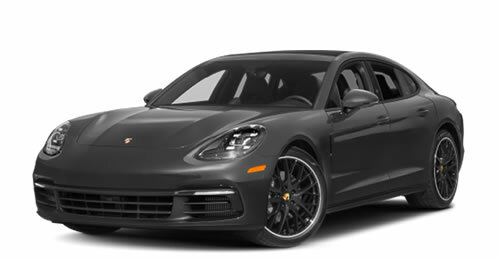 On request, for example, you can have the 911 Turbo S Exclusive Series finished in an alternative color of Agate Grey Metallic or Carrara White Metallic at no extra cost. 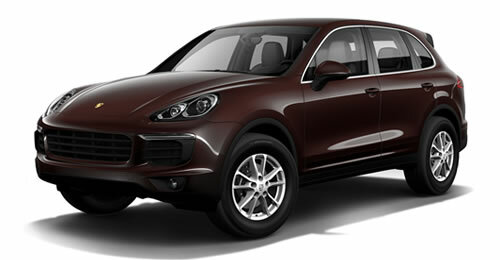 A paint finish in Graphite Blue Metallic, Black or Guards Red is available for an additional fee. 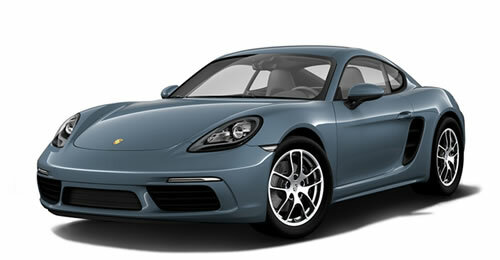 A sentence – no, more a maxim – that Ferry Porsche coined over 50 years ago. And it’s still an apt description of our daily work today. 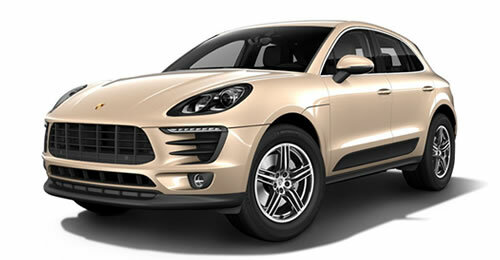 In the Porsche Exclusive Manufaktur, we consider this maxim our highest principle. Our objective? To fulfill the individual wishes of our customers in order to create cars that are truly special. We offer a wide range of personalization options, with visual and technical enhancements for the interior and exterior, from a single alteration to extensive modifications. The result is not simply special, but absolutely extraordinary. 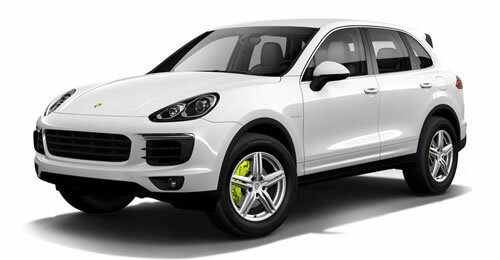 Formerly the Porsche ‘Special Wishes Program’, our special request service became Porsche Exclusive in 1986. It’s only fitting that, from now on, we should adopt the full name by which our facility is known: Porsche Exclusive Manufaktur. The results have stayed the same: cars that are genuinely unique, meticulously refined in accordance with the personal wishes and ideas of our customers. These bespoke customer vehicles are not our only works of art. Here, in the Porsche Exclusive Manufaktur, we also create strictly limited editions that embody our passion and skill. Exquisite materials and modern production techniques are combined to form a harmonious total concept. These accomplishments are recognizable by the ‘Porsche Exclusive Manufaktur’ plaque on the sides of the car – the unique signature that adorns each masterpiece we’ve produced in small numbers. In our endeavours, we rely on precision, skill, and hard work. And on the interaction between human and machine. On tradition and future. On craftsmanship and high technology – no matter whether it’s during refinement, painting, cutting or stitching. This is how we seek and find the ideal combination of innovative production technology and instinctive feeling for each car. Only the result is ever the same: an unrivaled amount of character and individuality. With plenty of love for detail. In this way, we have created some extraordinary collectors’ items in recent decades. 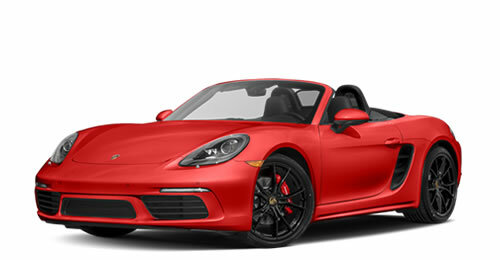 For instance: the 911 Sport Classic, limited to 250 examples; the 911 Speedster, limited to 356 units; or the Panamera Exclusive Series, produced in a limited run of only 100. Luggage compartment volume 4.0 cu.-ft.